We have a saying here on the compound, it usually goes something like “I’m gonna need more popcorn.” It implies that there is something entertaining going on and a person is planning on just sitting and watching the event, eating snacks. Yesterday daughter-of-Snowball moved out and I ran out of popcorn. If you’ve been following the recent saga of the compound you know this move had been planned for since last spring. Daughter’s boyfriend had a small apartment and she had the two bedroom unit in the duplex on the compound. Together they found a reasonably sized town home to share. They had our blessing though as forty somethings they didn’t need it. But daughter never remembers to allow for Murphy’s Law and she tends to pile on the task list just accepting that it will all go as planned. The movers that daughter scheduled had a small job first thing in the morning, so the plan started with the movers first going, sometime after lunch, to boyfriend’s apartment for the smaller of the loads, then get the larger part from daughter’s duplex and finally take the whole to the new town home. Under the assumption that they had time in the morning, daughter and boyfriend went to pick up the keys to the new place first thing. 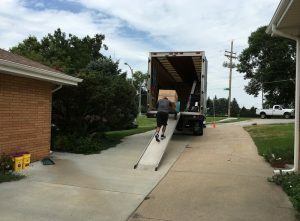 While the couple was at the office getting the keys, the movers called and said they were ahead of schedule and could start at 10 am. At the same time they also learned that they needed paper work to prove their cats were up-to-date on their shots before they could move them in. So boyfriend had to shoot to his house to meet the early movers while daughter had to shoot to the vet to get paperwork – all of these location pretty much far across town from each other. 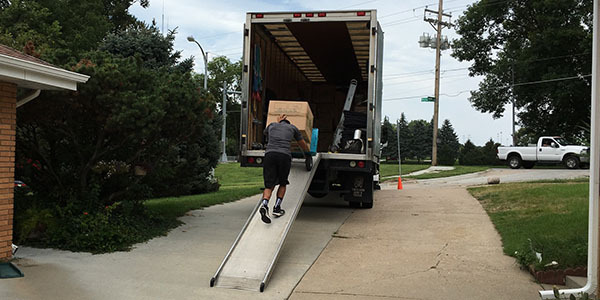 Like Sisyphus pushing the boulder, these movers worked hard to get daughter to her new place. Also scheduled by daughter for the day was the satellite TV guy to come and install his stuff at the new place. Let’s see… that puts daughter at the new place for the TV guy… boyfriend at his place for the first stop on the mover’s list… that leaves Snowball and me hanging at the compound to handle the movers when they get there in case boyfriend gets hung up on the way. And to coordinate all this the group texts started flowing like the Kardashian’s twitter feed. When the movers got to the compound, boyfriend was accompanying them, thankfully. It was pronounced that the load there had been grossly under estimated and would take two trips not to mention the increase in estimated cost. Snowball and I were called into service to dismantle the last of the utility shelves no one had gotten to and to make sure the washer and dryer were ready to move so the pros wouldn’t have to spend any extra (billable) time disconnecting hoses and vents during their second trip. The tension broke when son-of-Snowball jumped into the text flow describing the ‘Hypothetical’ antics of the movers. He and Snowball did get to drive over and check out the new place. I’m still waiting for my chance. The movers were actually very good and took care with all the stuff. After the second load was emptied from the duplex, the cats were released from what I’m sure they perceived as unwarranted captivity and late last night brought to their new home to scratch and sniff it to their own liking. As a side note from the “It never rains but it pours” department, in the middle of all this chaos the guys showed up at mom-of-Snowball’s to begin putting in the foundation for a sun room. It didn’t call for a lot of involvement during moving day festivities however the guy in the bobcat was able to show us the pipes leading to the old septic system from forty years ago. More on that story as it develops.